Belaying methods - off anchor, waist, etc. Knots & hitches - clove, munter, mule, etc. Friction hitches - prusik, kleimheist, autoblock, etc. Rappelling methods - for yourself, with an inured partner, etc. and provide you with as much time as possible on the rock practicing the skills and in scenarios. In addition to self rescue skills, we strongly recommend you take some level of a Wilderness Medical Course to help you be more prepared. 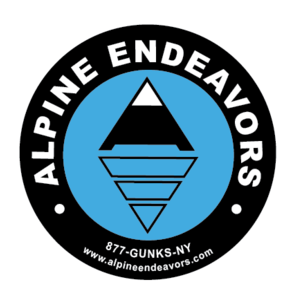 Self rescue instruction is available daily in the Shawangunks and Adirondacks. We supply all the necessary technical climbing equipment and day passes where required - please check out the Gear List specific for the day for what is actually supplied and what you'll be required to bring.